Landed on a highway and went into ditch. At the time of the incident, the Flight Hobbs reading was 8796. The last Annual Inspection is dated 05/14/18 at Flight Hobbs/TTAF 8599.1. The last Annual Inspection is dated 05/14/18 at Flight Hobbs/TTAF 8599.1; ETT 1351.8. The last 100 hour is dated 09/26/18 at Flight Hobbs/TTAF 8790; ETT 1542.7. The last Annual Inspection is dated 05/14/18, Flight Hobbs/TTAF 8599.1; PTSMOH 1351.8. DESCRIPTION OF ACCIDENT: Following a loss of engine oil, N469DA made an emergency landing on a highway, departed the road, and came to rest in the ditch alongside the road. 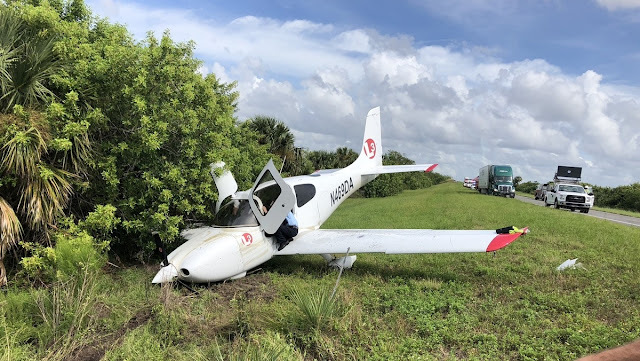 With oil spewing across the windshield of his plane, a pilot managed to make a hard landing along a patch of grass off State Road 407 in Titusville Monday morning. 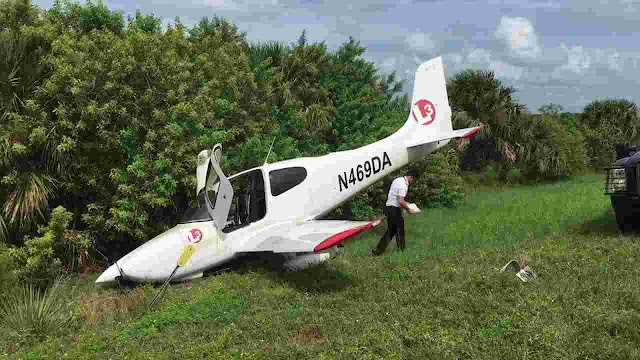 Two passengers, the pilot and a student pilot, were aboard the aircraft, owned by L3 Airline Academy in Sanford, but were not injured. The aircraft was en route back to Sanford from Fort Pierce. The emergency landing took place about 11:20 a.m. Monday, on the narrow strip of grass between State Road 407 and a murky, brown canal just west of Interstate 95. “We can confirm that there was an operational incident on a training flight from our Florida Airline Academy this morning, which led to a precautionary landing taking place on the State Road 407. There were no injuries and we appreciate the support of the first responders and relevant authorities in this matter." 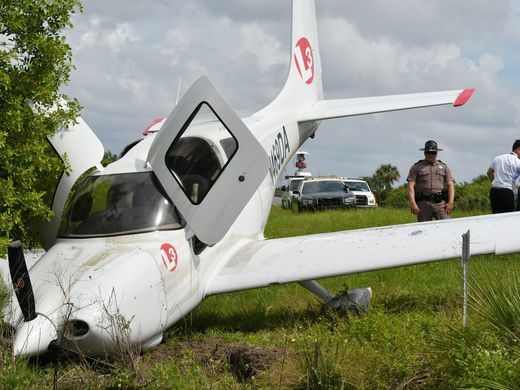 Lt. Channing Taylor with Florida Highway Patrol said the pilot along with a student pilot on board made an emergency landing on State Road 407. "They were able to get the aircraft down without hitting anything," he said. "They were basically flying blind with all the oil that sprayed up on the windscreen." Removing the airplane and the 100 gallons of fuel inside were among the challenges as crews worked to remove the plane throughout the day Monday. 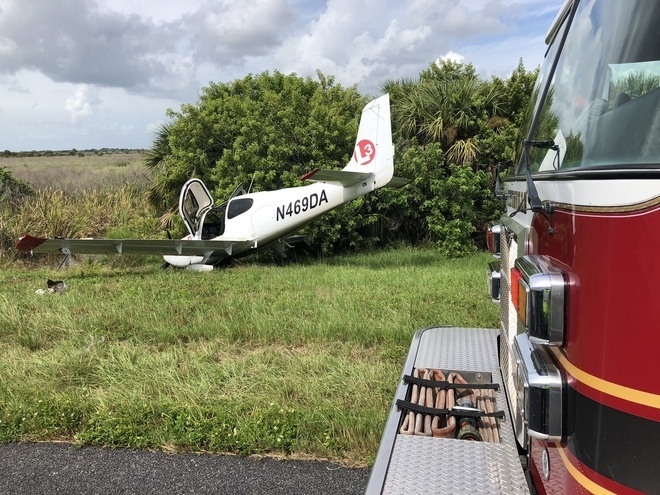 The pilot of the plane, which had flown earlier to Fort Pierce for a touch-and-go before attempting to return to Sanford, was trying to land at Space Coast Regional Airport off Golden Knight Boulevard. The pilot reported the aircraft was showing low oil pressure, prompting the emergency measures. Fire crews and police were at the site. Florida Highway Patrol troopers are conducting an investigation. The names of the pilot and passenger were not released. 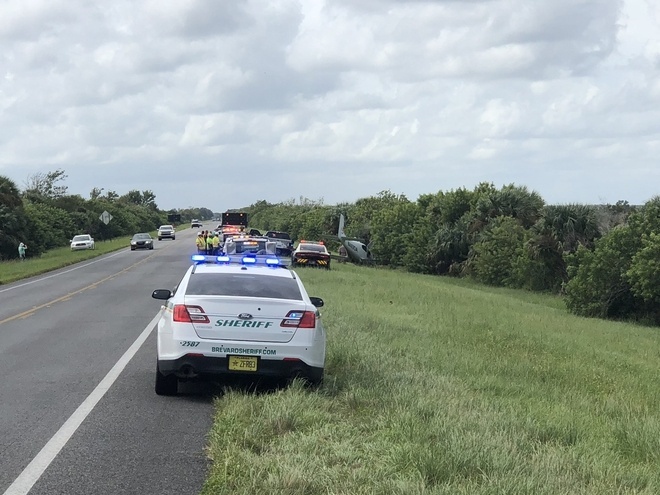 TITUSVILLE, Fla. (FOX 35 WOFL) - Florida Highway Patrol says a flight instructor and his student pilot were forced to make an emergency landing on the busy 407 highway west of I-95 in Brevard County, after the plane suffered a sudden loss of oil pressure. Trooper Channing Taylor says about the same time, the pilot told them oil shot out of the nose of the plane and covered the windshield, forcing the pilot to “fly blind”. The plane ended up on the shoulder of the road with minor damage. 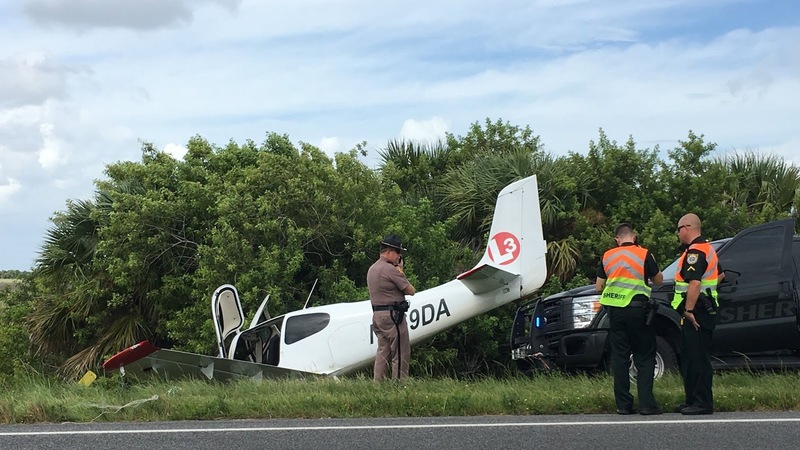 Troopers say the pilot and student did a touch and go in Fort Pierce and began heading back to Sanford when the emergency happened. Airport emergency responders say the pilot tried to make an emergency landing at Space Coast Regional, but he wasn’t close enough and was forced to make the emergency landing. Fortunately neither the flight instructor, student pilot, or anyone on the ground were hurt. Challenger Parkway in Titusville became a landing strip on Monday when a small plane was forced to make an emergency landing, troopers said. 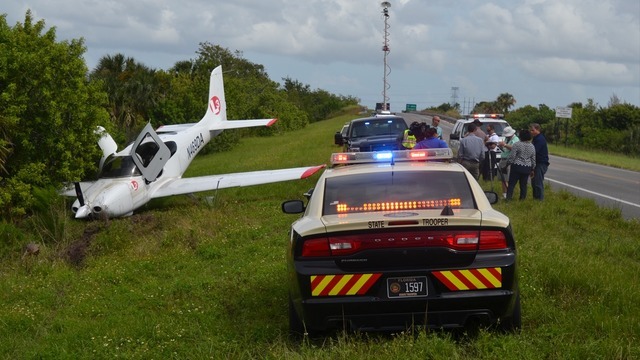 Officials with the Florida Highway Patrol said low oil pressure forced the plane to make the emergency landing on Highway 407. The two people on board were not hurt, troopers said. Traffic in the area is not impacted, troopers said.